Kadima's gamble in Palestine did not pay off. It's unclear as to whether or not it backfired, but Feb. 10th elections have given Israel's right-wing a majority presence, and President Peres has asked Mr. Netanyahu to form a government, despite Likud's second-place showing in the election. Mr. Netanyahu has hosted two rounds of negotiations with Kadima, in order to try and form a broad coalition government. But those talks appear to have collapsed, probably over Kadima's commitment to reduce settlements and pursue a US-backed two-state solution. This breakdown likely indicates that Israel is going to lean to the right in the near future. To form a majority government in the Knesset (parliament), one needs 61 of 120 seats. We'll assume for now that Mr. Netanyahu will likely fail to woo Kadima (28 seats), the Labor Party (13 seats), United Arab List (3 seats), Balad (3 seats), or Hadash (4 seats), which together are 51 seats. 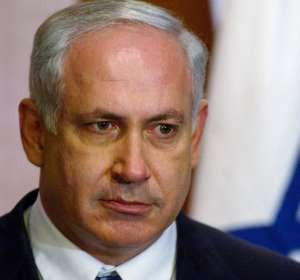 To cobble 61 seats together, Mr. Netanyahu will have to appeal to the Zionist/Nationalist tendencies of many right-wing groups, including Yisrael Beytenu (15 seats), United Torah Judaism (5 seats), National Union (4 seats), The Jewish Home (3 seats). Shas (11 seats) is the wildcard--but even if Netanyahu picks them up, he has a narrow coalition indeed, and one whose weight is far to the right. Voices interested in a two-state system will be sidelined in this new government, and the Palestinian Authority will have to choose a reaction. The PA reaction may be to entrench, but it's unclear. 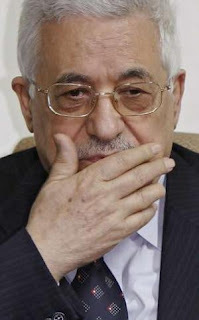 Mr. Abbas is having a lot of trouble forming a unity government with Hamas, largely because Hamas refuses to recognize Israel as a state. Abbas is likely to lose what ground he had in pursuing the two-state solution if Israel spends the next few years uninterested in working with him on such a plan. Mr. Obama seems to have his work cut out for him. It seems Pakistan's Swat region is going to settle down. At least for the moment. The Taliban (by which I mean the local Cleric-Warlord, Sufi Muhammed) has signed off on an "indefinite ceasefire" with the government. Apparently there isn't any fighting right now, either--but there's usually only sporadic killing/bombing/terrorizing when government troops aren't there. So there's little to say on effectiveness yet. There are legitimate concerns that this is (as Prof. Barry Posen calls it) "the Pause that Refreshes," allowing the Taliban to bring up reserve troops, regroup, plan, resupply, etc. The Taliban may be cleverly fooling a desperate Pakistani army into taking the pressure off at a critical moment. Most radical Clerics are relatively evangelical and expansionist. Why stop here, if he has been able to take over 70% of the Swat region, and gains a military advantage by the ceasefire? If Pakistan hopes to make this ceasefire final, it must regroup itself and present a credible deterrent. It must make clear, somehow, that breaking the ceasefire (in a serious way) will make the Taliban's collective lives extremely difficult. The incentives must work out: if messing with the ceasefire and trying to expand influence is not worth the cost of having to deal with the Pakistani Army, then you have a ceasefire that is likely to hold for a while. How to make that happen is another story. Pakistan and Afghanistan have serious, and worsening, Taliban problems. And I'll admit openly that I believe that negotiation with the Taliban is necessary for peace--they are a huge chunk of both countries and they are well left-out of the political process. I'm not entirely sure how I feel about the recent deal in Swat to grant Sharia law in two Pakistani districts for peace. The US has openly given it a hard time, but apparently privately supported it. So far, it's off to a rocky start. The top Pakistani official in Swat has been kidnapped by the Taliban, though may have been released. This represents a serious problem with the deal that plagues many deals with non-state actors: the "group" is loosely-affiliated enough that not everybody will agree to what one negotiator says. So, even though this cleric that dealt with Pakistan is probably genuinely in favor of not continuing to fight, his promises aren't particularly credible because he does not have authoritative control over the region. So other Taliban members will largely shrug their shoulders and continue doing whatever it is they do. The other serious problem with such an agreement is that it can create a safe haven. Even if the Swat valley dies down in violence, Taliban from other regions, including Afghanistan, may well use it for sanctuary as they gather munitions/plan attacks/spread propaganda/communicate/whatever it is they do. The Taliban is a big, diverse group of people with many diverse interests. One of those, obviously, is punting NATO. No amount of Sharia law will actually get the fighting in Afghanistan to stop, and insomuch as there is more solidarity between Pakistani Taliban and Afghani Taliban than there is between Pakistani Taliban and the West (hint: there's lots more), those Pakistani Taliban will continue to assist their Muslim brethren in attempting to boot the Western Imperialists. Such a deal might actually make the lives of the US harder. So, how is this a mixed bag? Well, it might show that negotiating works. When you lack the capacity to win at costs acceptable to you, then you negotiate. This is something we failed to understand in Vietnam--and, frankly, as much as Western liberal media liked to link Vietnam and Iraq, Afghanistan holds the analogy much better. We're dealing with a large insurgency by a huge portion of the country that genuinely opposes 1) the guy we've put in charge (in this case, Karzai), and 2) our presence. In Iraq, most of the serious problems were between Iraqi ethnic groups. Now, it does happen that the pro-Karzai factions are largely northern ethnic groups and the Taliban are largely Pashtuni, so the analogy is not perfect, but it's closer. Currently, Afghani Taliban are unwilling to negotiate as long as NATO sticks around. But if they see their lives made easier by successful peace deals, they may reconsider. Like Iraq, making concessions for a lull in violence is likely to allow the government to retrench itself. Pro-government forces in Talibani areas will likely be more free to promote the government's agenda, and Afghani army/police will be able to at least step into Talibani areas to improve the government presence and administration in these areas. The many tens of billions poured into the country for economic development and education will be more effective. Hearts and Minds takes over, and it can work, especially with a mastermind like General Petraeus managing the operation. Of course, there are lots of complaints about deterrence and appeasement. But one cannot actually beat every problem into submission. From the point of view of the Taliban, the US showed up to boot them out, and one cannot "deter" them into idly sitting around and letting the West run the show when they genuinely think the West is out to get them/Muslims/Afghanistan. What negotiation (in parallel with serious security operations, obviously) will show is that the US is willing to deal reasonably with the concerns of this large chunk of the country. What Would You Do With a Ghost Island? We are curious to know. 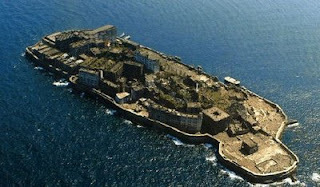 There is a small island called "Hashima," as a tiny part of Japan, once known as "battleship island," that is now abandoned. 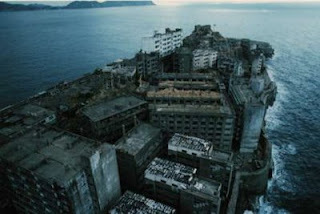 It used to be a coal mine "town," and it was a big deal (remember how few natural resources Japan has), but the switchover to petroleum made it defunct. It's fallen apart for decades now. It looks pretty nifty, to be honest. Okay, it's creepy. But it's abandoned, and surely, something cool can be done with it. The only thing we've thought of so far is renting off to Hollywood for zombie horror films. But let's say you're crazy and made of money. What would you do with this? Can you make it turn a profit? Would you try to barter for sovereignty and make your own utopia? So go for it, leave us some comments. 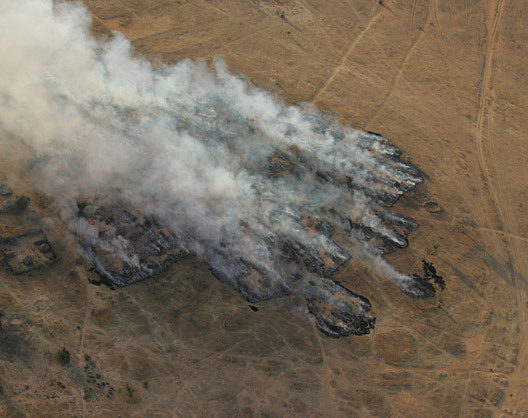 Sudan has appeared to be largely stagnant in progress towards ending its war in Darfur over the past few years, and worse, it appears to be entering a new conflict in South Sudan. This is, unfortunately, largely true, despite Sudan's ability to make peace (mostly) with its Northeastern rebels (yes, it's got lots of rebels). Bush actually sent a lot of aid to the region, which has helped in relieving some of the agony of being an Internally Displaced Person (and appreciation runs high--UN reports a strangely high number of babies being named George W. Bush among Darfurian refugee camps), but the AU/UN security efforts have been largely ineffective at stopping the violence. And why? Some of it is a lack of resources (money, manpower, etc), sure, and that's what most people are complaining about. But the real problem is a lack of spine, frankly. AU and UN troops are operating under a very tight Rules of Engagement (RoE), and largely cannot deal with most problems they face, and certainly is not going to deter the Janjaweed or the Sudanese government from acting. The Government of Sudan is willing (currently) to drink what trade embargoes and UN Sanctions are on its shoulders in order to finish dealing with its Darfur problem (which is mostly that Darfurians are rebelling over socioeconomic mistreatment, and/or want their own country, and Sudan needs the land for oil, and does not want to be caught paying someone to stop giving them a hard time). But very recently, some progress has been made. First, the Justice and Equality Movement (JEM, one of Darfur's main rebel groups) is in peace negotiations with Sudan in Qatar, asking for (frankly) not much. Khalil Ibrahim, JEM's leader, said "We are fighting for pure water supply, education, primary health care, electricity, food, job opportunities and participation in taking decisions." There are ways for the Sudanese to accommodate these wishes, but they will likely require electoral reform and cooperation with outside mediators (mostly to enforce promises, particularly demobilization). Second, the International Criminal Court (ICC) has added Sudanese President Omar al-Bashir to a growing list of big-wigs in Sudan that have a warrant for their arrest for War Crimes in Darfur. This is the first time the ICC has issued a warrant for a head of state--quite a bold move. He is highly unlikely to be caught, but he may be feeling the pressure a bit--the Western world is continuing to step up its actions against Sudan's government for the Darfur catastrophe. And, if Bashir should travel to any of the ICC's member states, he'll be arrested and brought to The Hague. The warrant also more explicitly indicts the entire state as a genocidal pariah, rather than a bureaucracy of incompetence that was unable to deal with the Janjaweed. It is going to stop the fighting? Not today. But it's likely to give the JEM (who are not the rosiest of rebels, to be fair) some added bargaining power in Qatar. But even if the external forces, the electoral reform, and the peace deal can be mustered, the Janjaweed has to be rounded up and demobilized. That's going to be tough, to say it lightly. So a few folks have been asking me about some of the work I've been doing recently with Conflict Dynamics, so I'll update you (because it's largely the reason I've not been updating as much recently). So I'm a consultant for the boss on two projects, the first of which I've been spending a lot of time on (and will through March), and the second I'll be working on a lot more later. The first project is work on Children in Armed Conflict (CAC), where we are generally trying to help end recruitment of children as soldiers and other violations during armed conflicts (the second is on conflict resolution in Sudan, which is a years-ongoing project that I am only really briefly helping on). Our work is actually with the Canadian government, whose delegation heads the Group of Friends, a 30-or-so-delegate union of nations specifically dedicated to the CAC problem. We have been working for some time on (still proprietary) research on how to eventually craft a UN Security Council resolution to increase the (frankly, pretty terrible) effectiveness of deterrent measures. The work is going along quite well, and I think I might be able to chat more about it during the summer (whence we might spend some time in New York making sure the resolution the Canadians write is pushed through). Much of our research requires working with the folks that actually operate on the ground level. On Wednesday, I hopped a bus down to New York and then took the metro to the UN. The plaza was surprisingly busy, and I wondered what they were actually up to. But I actually met with my boss and a few UN workers that had spent a lot of time in the field, and presented our work so far. They were impressed, and gave us some good recommendations for moving forward. To be honest, that was really it. We got out of meeting a bit late, and missed our second meeting, so I got to wander around a bit (I picked up a UN pin for my next visit). I made sure I was wearing a UN-blue-and-white striped shirt with a UN-blue-and-white paisley tie, so I looked the part. I think some tourists even took photos of me as I left the main UN building. But the experience was pretty exhilarating nonetheless, and I may try applying to work at the US Mission to the UN for the fall. Additionally, I might be heading down next week to help the Boss chat with the Russians and Chinese and preempt any vetoes coming from them this summer. I had the opportunity this semester to take a class on Warlords and Non-State Actors this semester, and jumped on it. The first class on the Taliban was a bit of an eye-opener, at least for me. Thanks to the Iraq War (which is, frankly, over at this point), I've been relatively happy to blissfully ignore the New Quagmire for a more geopolitically interesting situation. Since Professor Christina yanked me out of my cave, I've learned a few things about Afghanistan that I want to share with you. One of the interesting studies she presented was a survey of 42 Taliban in Kandahar (somewhat non-scientific, but rather compelling nonetheless, particularly that it was conducted by a Pashtun) that revealed a bunch of interesting tendencies about the Taliban. The first is that they're so thoroughly propagandized by Talibani leadership that literally all 42 interviewed believed that NATO was specifically designed as a Western coalition to attack Muslims. Most of these guys were also pretty bent on putting down their arms and getting back to work once the "foreginers" were driven out--sadly, this probably also includes toppling the Karzai regime, as he's seen by Talibani as a puppet of the West. The last interesting observation is that these guys really have no connection to Al-Qaeda anymore--or at least not much of one. Al-Qaeda was a client of the Taliban, but the Taliban doesn't need them, and shed them when Al-Qaeda became too costly to hold on to (a sign that some aspects of the Global War on Terror are going well). So let's take a look at ethnicity in Afghanistan. Remember the Northern Alliance? That was a bunch of Turkmen, Tajiks, and Uzbeks. If these names sound familiar, it's because they each have a majority Central Asian country (Turkmenistan, Tajikistan, and Uzbekistan). During the invasion, they drove south, and wiped the Taliban, who were mostly Pashtun. 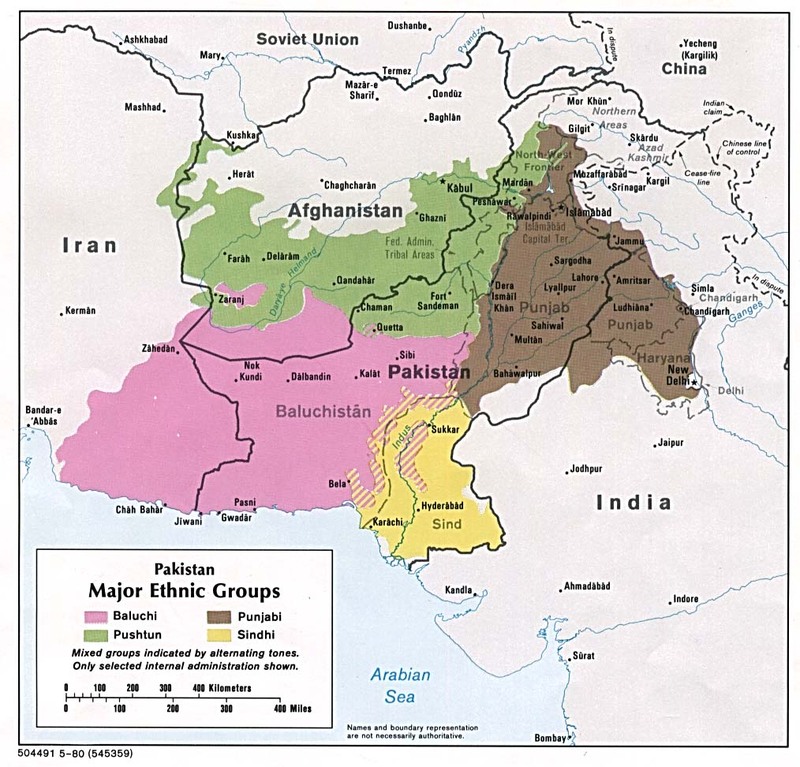 Now, on this graphic, see the green area; this is the Pashtun-dominated area in both Afghanistan and Pakistan. And finally, look at the dark red areas in the map below; there you see "high Taliban presence," along with the red dots that indicate their attack patterns in 2007. As you'll notice, it's pretty clearly in Pashtun areas (and Baluchi areas and some Tajik areas). But Pashtuns, the clear plurality (and they think majority) of Afghanistan are the biggest problem. They're now a bunch of militants that are trying to drive out the US and re-establish the Sharia nutjob state that ran the show until 2001. And, of course, Afghanistan is always going to have some of these guys, and one either has to deter them, kill them, or drive them out (becuase one won't convince them). But this huge proportion of the population has been convinced to at least help out the Taliban, and this is in part due to ideology, in part due to the fact that the government cannot provide administration and security, and in part because the Taliban has coerced them through terror (they are very good at sending letters with lots of creepy details that convince everyone that they are watching at all times). For whatever reason, these guys feel marginalized by the new government. And while a bunch of folks would be happier to buy into the government and just live their lives, the Taliban has made defection so deadly (and seemingly have eyes everywhere) that a lot of people are trapped in fighting for the guys they don't want to. So how do we separate them? Well, that's tough. But, essentially, we need to do 3 things, simultaneously: 1) provide sufficient protection to our quiet supporters such tha they can support us, 2) convince the fence-sitters (with economics!) to join our side, and 3) deter/kill/beat down the "irreconciliables." So this actually looks a lot like the Surge strategy. It's going to require (if we throw a bunch of troops at the problem) getting into every darn village in the south, and getting our chins pretty bloody for quite a while. It is going to require undercover agents, competent translators (and lots of them), and lots of training for Afghan troops to make them ready enough to join the US on missions. Joint Afghan/US missions in large numbers will not only train Afghan troops in COIN, but also help give the US some legitimacy, tact, and context in its own missions. But Afghanistan has become more than just a fight against a few terrorists. It did years ago, but it took us a while to admit it or get our heads around it. We're dealing with a sustained militia resistance, one that is largely bent on Islamic rule and largely bent on booting foreigners. Really, we should be negotiating with the Taliban and trying to give the majority of them sufficient buy-in to jump on the Karzai boat. This requires both increasing the benefits of joining, and increasing the costs of resisting (which requires continuing to bloody them, cut off their access to money, etc). This is all fine and well, and would likely be achieveable in Afghanistan if it weren't for the fact that some 40% of the Taliban is across the border. One simply can't solve this problem in the long term as long as the Taliban can fester unmolested in Northwest Pakistan. And really, that's the most frustrating part about Afghanistan, whenever one thinks about it. We can have a great plan, but as long as we can't march into Pakistan and work together with the local troops there, it's going to be a waste of time. I'm excited to see what Petraeus can pull out of his pocket, because the man's brilliant. 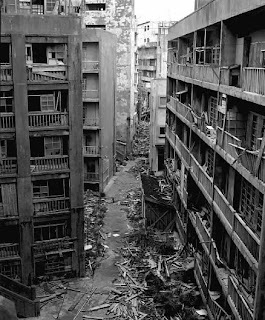 But it may be an impossible task, because there are too many variables, too many people, and too many square kilometers that aren't in his control at all. So, we'll see. Sadly, I don't have much of an answer except to go ahead with a Surge-style boots-on-the-ground strtategy, and see if we can't convince a bunch of Taliban-turned-good-guy militias to cross back into Pakistan and do our dirty work for us. On Sunday, Iraqis went to the polls to pick provincial leadership for the first time since 2005. Turnout hit 51%, which isn't great, but enough to avoid the problems of 2005, where mass Sunni boycotts left the Sunnis under-represented in provincial government (somehow, they did not anticipate this consequence) and fueled the civil war that followed. The distribution of seats is incredibly weighted towards small provinces--every province starts with 25 seats, and gains only one seat for every 200,000 population over 500,000. But, because provincial government is not actually representative legislature, the effect is minimized. Because of al-Qaeda's presence in Mosul, as well as strong disagreements on how to deal with the Kurdish Autonomous Region within the federal government, elections within the 4 most Kurdish areas in Iraq have been delayed. The New York Times actually has a pretty good primer on this. Final results won't be in for a few days, but initial results are both surprising and comforting for the United States--and appear to be a big blow to Iranian power in the region. Before this election, the Supreme Council for the Islamic Revolution in Iraq (SCIRI) had a stronghold on the Iraqi south, and great influence as a major member of al-Maliki's governing coalition. One year ago, their militias ruled Basrah. As a conduit for Tehran, Iran's influence was strong. But militia fighting turned the Shiite South into a bloodbath, despite its relatively homogeneous nature, and Iraqis began to catch on. Recent results show huge gains for al-Maliki's State of Law, throughout all of Iraq. It appears that State of Law will overtake SCIRI in almost every Shiite province, and place second or third in all others (including Sunni and Kurd provinces--at least those that are voting). This surge in momentum is surprising even to al-Maliki, whose popularity was crashing last year. But al-Maliki has stood up to the US (and negotiated hard for a pro-Iraqi Status of Forces Agreement), stood up to Iran (and booted Iranian diplomats that interfered with Iraq's government), and stood up to various militias across the country (pressing hard against al-Sadr in Baghdad, against SCIRI militias in Basrah, and against al-Qaeda). He gained the loyalty of many Sunnis through the Sons of Iraq program, and of Iraqis all across the country for restoring Iraq to safety and functionality for the first time since the fall of Hussein. The elections indicate a few trends that are likely to give al-Maliki a big win in December, when national parliamentary elections occur. 1) Nationalism. Most Iraqis really love their country, their democracy, their culture. For the day-to-day citizen, nationalism has grown with the relative decline of sectarianism, as could be seen during the Status of Forces debate--bitter sectarian enemies united briefly to make sure that the US would be on its way out in a timely manner. Now that Obama is planning an even faster withdrawal than Bush agreed to, the Iraqis are looking to use their newfound muscle to shove Iranians out. SCIRI lost big for not recognizing this trend, and al-Maliki won for gambling on it. 2) Anti-sectarianism. Sectarianism is seen as the biggest contributor to violence between 2003 and 2008 in Iraq. While many Iraqis clung to sectarianism during that time, it faded and then was rejected as a stable security environment began to prevail. Iraqis hope to avoid such a civil war from ever brimming up again, and they are voting in kind. SCIRI was punished for remaining relatively sectarian in its dealings, and State of Law won for its hard-fought attempts to bring unity and reconciliation among sectarian groups. Should the Iraqi people continue to become more nationalist and less sectarian, State of Law will continue to win--unless SCIRI performs a drastic makeover in the next year. They have the opportunity to do so, and they are likely to try. Even al-Sadr is showing a cooperative stance with the unity government, which is a massive turnaround from the past. Perhaps the most amazing part of all of this is that the elections occurred with barely a blip of violence. Elections always marked increases in bombings, shootings, mortar lobbings, etc. But this time, Iraq remained calm. Mr. Obama is indicating that Iraq has control over its security situation, and the US can pull out quickly. He may be right. This vote, should it be successfully implemented in the last 4 provinces, could signal the end of the War in Iraq, and the beginnings of a functional democracy. Ironically, while the last troops will come home under Obama, the Iraq war may be one that Bush managed to win entirely under his own administration.